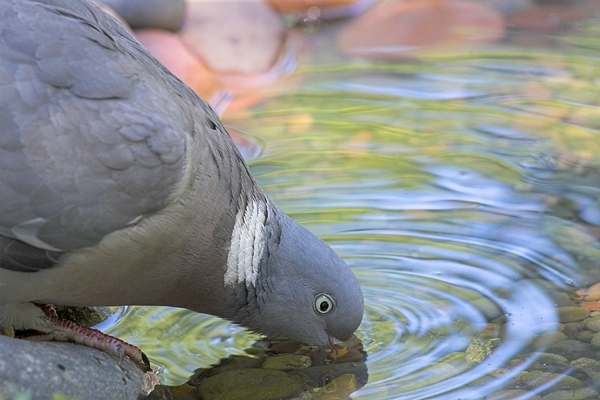 Home | Garden Birds | Close up of Wood Pigeon,drinking. Jul '10. Back garden pool in Chirnside,Berwickshire. Canon 1D Mk11N,300mm lens,1/125 f6.3.